Ex-GWR 0-6-0PT No. 5764 is now London Transport No. 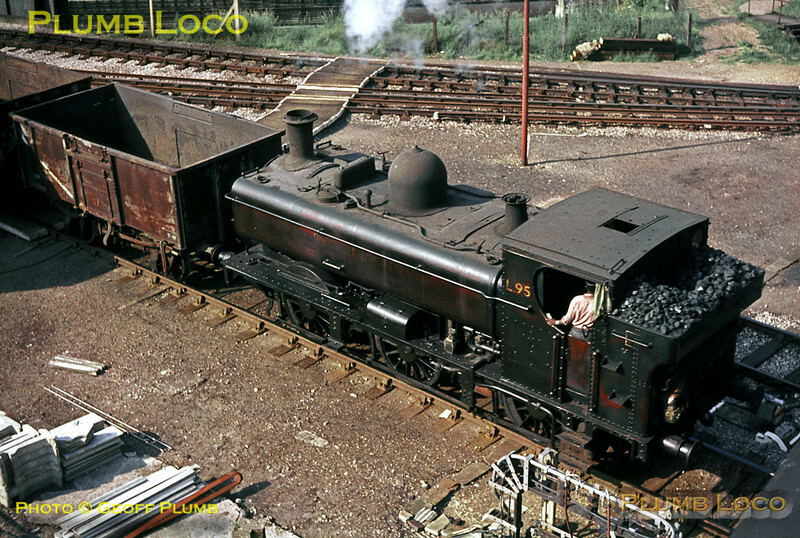 L95, and is here arriving at Lillie Bridge Depot, seen from the West Cromwell Road bridge, with a train of empty wagons from Addison Road (now Kensington Olympia) on a lovely June day in 1969. Slide No.3809.